If you've been Jonesing for a new push-to-talk iDEN handset, don't bother heading to your local Sprint or Boost Mobile retail store - or anywhere else, for that matter. That's because Sprint appears to have pulled remaining devices from stores ahead of closing up shop on the entire service next summer. According to a report published Wednesday, calls to several area Sprint stores in search of iDEN phones resulted in little more than disappointment after being told they were "no longer available." iDEN handsets have already been yanked from Sprint's website, as well as that of prepaid carrier Boost Mobile, whose service taps into Sprint's CDMA-based network. Sprint continues to offer push-to-talk DirectConnect services that were once the competitive advantage of iDEN phones, but are based on newer technology. 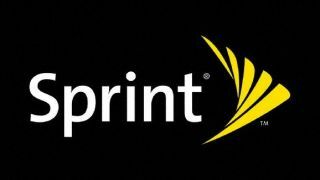 Last month, Sprint announced they would stop selling iDEN devices ahead of a complete network shutdown planned for June 30, 2013. The third-place U.S. carrier is planning to use spectrum freed up from sunsetting iDEN for its 4G LTE network, where Sprint is working hard to play catch-up against rivals Verizon Wireless and AT&T.